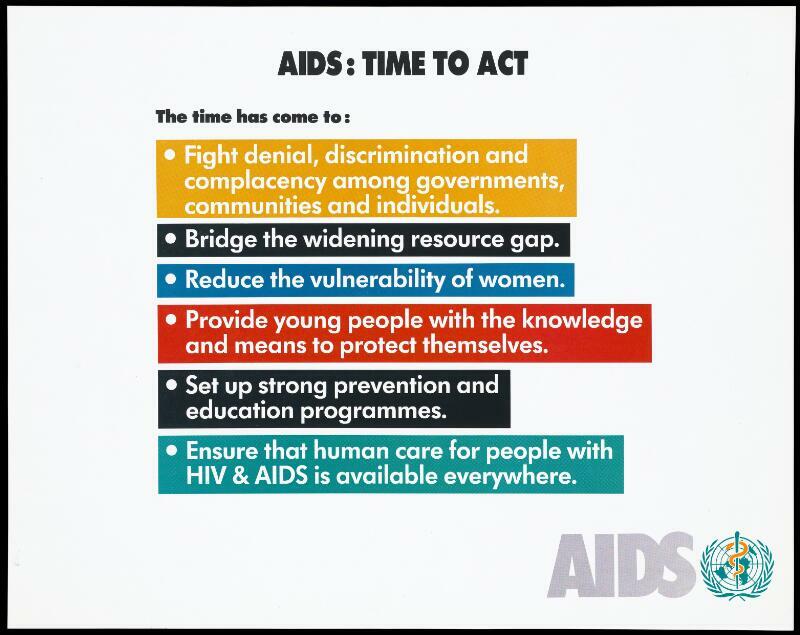 Actions that need to be addressed in the fight against AIDS by the World Health Organization. Colour lithograph, ca. 1995. AIDS: time to act. The time has come to: fight denial, discrimination ... bridge the widening resource gap. Reduce the vulnerability of women. Provide young people with the knowledge and means to protect themselves. Set up strong prevention and education programmes. Ensure that human care for people with HIV/AIDS is available everywhere. AIDS.